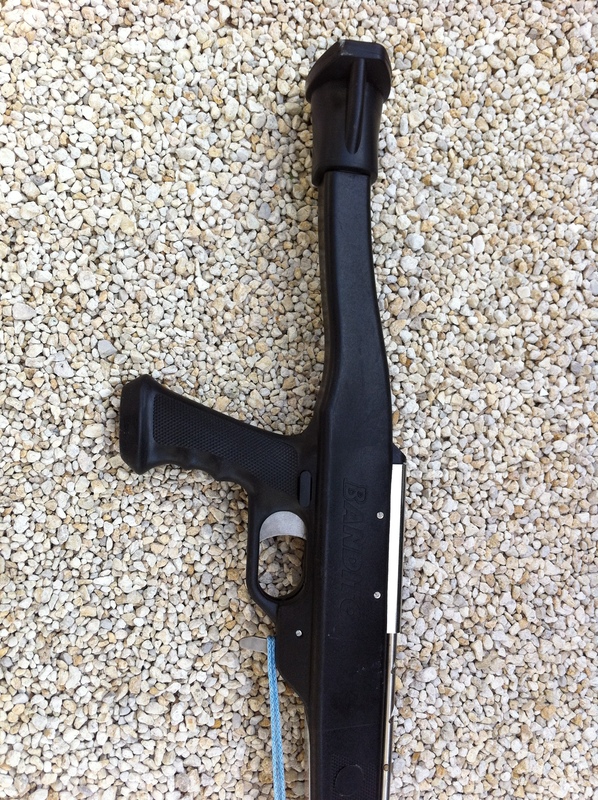 3226 Bandito Panther I Speargun. 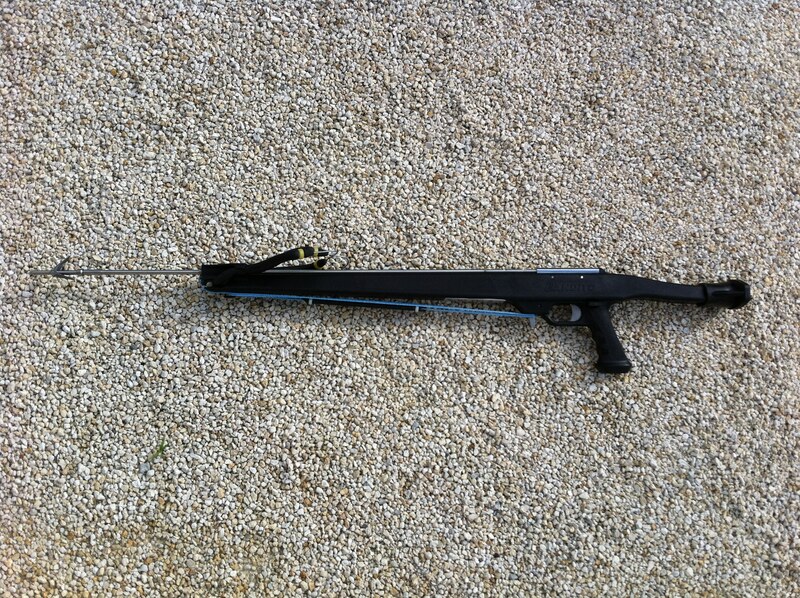 The Panther I is a perfect speargun for beginners to expert spearfishermen. The Panther Series spearguns both include 6mm threaded, single flopper barb, screw on tips, stainless steel shafts, slide rings, nylon shock cords, open muzzles, two 9/16” diameter bands, and black composite stocks with built in Accutracks for quiet, accurate, precise shots. 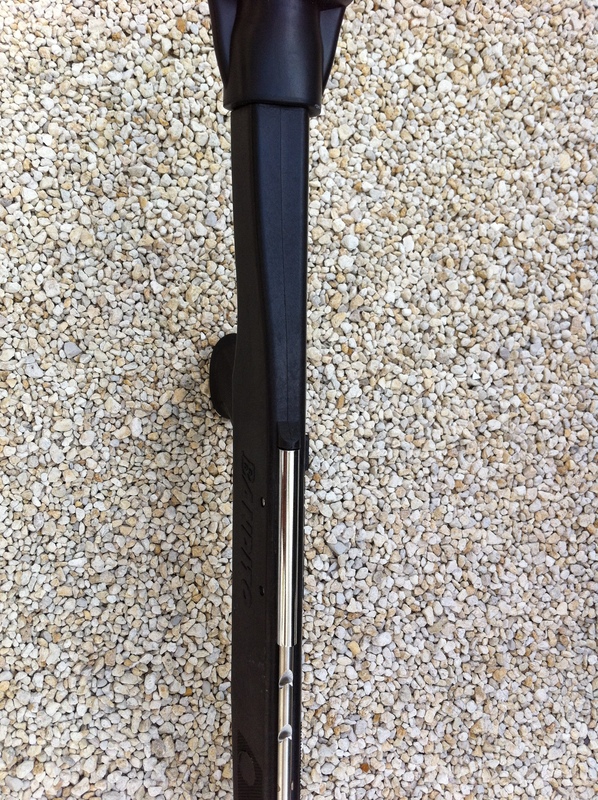 The Panther Series spearguns incorporate the muzzle, barrel, Accutrack, and handle all in one composite molded unit to make it the quietest gun on the market. It will not reflect, deflect, warp, crack, split, delaminate or absorb water. 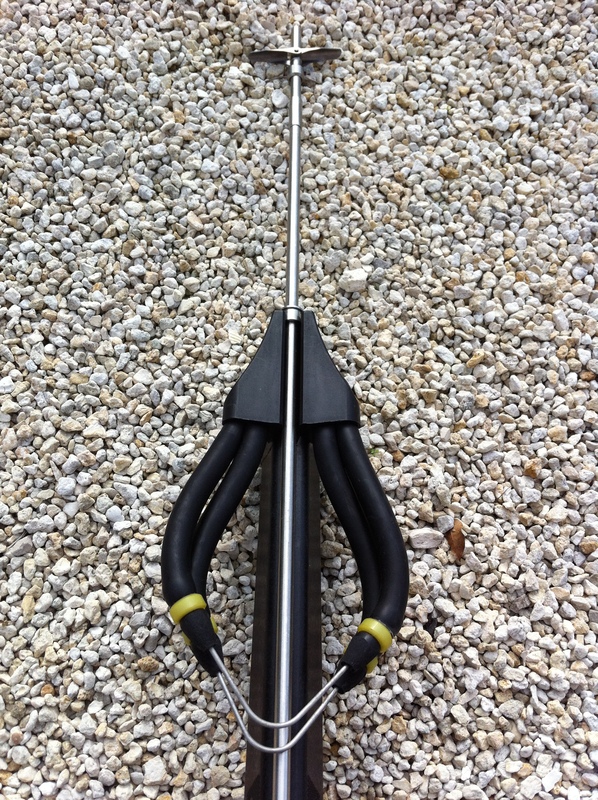 Having only 4 moving parts, including the safety, makes it the most reliable speargun on the market. The trigger mechanisms and hardware are all manufactured from top grade stainless steel. The open muzzle makes reloading super easy, just make sure you put the slide ring on the correct side of the muzzle. The Panther I overall length is 35”. It uses two 9/16” x 14” bands and a 30” x 5/16” shaft. Made in The USA. 3226 Bandito Panther I Speargun handle area side view. 3226 Bandito Panther I Speargun top view.